Statue of Abelard at Louvre Palace in Paris by Jules Cavelier (Image via Wikimedia). 5. Abelard (Burned his own book in 1121 CE): There can surely be nothing so painful as an author than being forced to burn your own book. This is precisely what the medieval philosopher and theologian Abelard was forced to do at the Council of Soissons in the twelfth century. As with many instances of book burning, it was a highly public act wherein he was forced to burn his book on the Holy Trinity. He was also sentenced to imprisonment in the Abbey of St. Medard, but he escaped to Troyes and continued to teach. 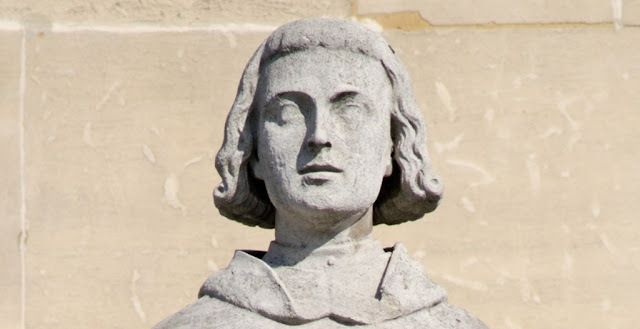 Abelard may be best known for his love affair with Heloise (herself an exceptional philosopher and writer) and impromptu castration, but having to burn his own book publicly likely added insult to injury. 4. Ovid (Exiled in 8 CE): Although there were many private collections of books in the city, Rome’s public libraries did not open until the late first century BCE. During the reign of Augustus, the Temple of Apollo, the Atrium of Liberty and the Porticus of Octavia thrived as public libraries in Rome; however, the emperor still maintained control over the libraries’ contents. In 8 CE, he banned the poet Ovid to exile (a sentence called relegatio) and kept his racy Ars Amatoria (“The Art of Love”) from public libraries — though his other works appear to have remained available. From his exile on the Black Sea, Ovid wrote: “I come in fear, an exile’s book, sent to this city: kind reader, give me a gentle hand, in my weariness: don’t shun me in fear, in case I bring you shame: not a line of this paper teaches about love” (Tristia 3.3). 3. Sappho (Burned in 1073 CE): Although the famed poet of Lesbos was born around 615 BCE it was not until over a millenium and a half later, in 1073, that Pope Gregory VII allegedly called for her writings to be burned in Rome. Rumors also circulated that bishop Gregory of Nazianzus had earlier ordered her poetry to be burned (in c.380 CE), but I can find no merit to this malicious rumor. The late antique Gregory in fact enjoyed and often paraphrased Sappho in his own poetry, making the later Gregory of the 11th century the likely culprit if there was in fact a mass burning of Sappho’s poetry at all. Regardless, you can read what we have left of her works here or read about the newly translated Sappho fragments here. An ostrakon that preserves fragment 2 of Sappho. Although most of her poetry was preserved on papyrus or in manuscripts from other writers, pot sherds also served as writing surfaces in antiquity (Image via Wikimedia). 2. Manichaean Texts (297 or 302 & 923 CE): Under the emperor Diocletian (r.284-305 CE), the texts of the followers of Mani, the Manichaeans, were ordered to be burned, along with their leaders. The bishop Augustine wasn’t a fan either, and in a polemic around 400 CE against these followers, he wrote that the Manichaeans should, “burn all [their] parchments with their finely ornamented bindings; so you will be rid of a useless burden, and your God who suffers confinement in the volume will be set free.” As Dirk Rohmann has written in his new book, Christianity, Book-Burning and Censorship in Late Antiquity, early Christians often spoke of books as a kind of body that demons could inhabit. What better way to kill these demons than to burn them? In the Near East, bags of “heretical” books of the Manichaeans, along with a portrait of Mani, were also burned in 923 CE. This was in Abbasid Baghdad, according to medieval Islamic historian Abu’l-Faraj ibn al-Jawzi. 1.The Sibylline Books (Prophecies burned in the 6th c. BCE and 5th c. CE): The utterances of the Sibyl of Cumae were kept at Rome and overseen by the quindecimviri. The Greek verses had originally been brought to Rome either during the reign of the King Tarquinius Priscus, the legendary fifth king of Rome (r.616-579 BCE), or the last regal period king, Tarquinius Superbus (r.535-509 BCE). When a woman approached him to sell him nine scrolls, he refused her price. The woman went away and burned three of the nine books and then came back, asking for the same price as the first. Again, she was rebuffed and again she burned three of the remaining six. A final time she came back and asked for the same price for the remaining three as the nine scrolls originally pitched to Tarquin. This time, Tarquin was worried and asked Rome’s religious augurs what he should do. They replied that they were a gift from the Gods and he should buy them — so he did. Although the remaining scrolls were allegedly burned by Stilicho at the beginning of the 5th c. CE, the lesson here is to always buy a book from a persistent lady. These are just a few instances of book burning or censorship in antiquity, but there are of course many more. I am sure I will receive mail about not including the Bible or other religious texts burned at various times, but the point here was to show that book censorship was usually a quite futile act. It frequently involved a public display in order to advertise the disdain of a group of people or of the state, but such tactics have only rarely kept works from being read completely. Book burning was much more detrimental to authors and their works in an era before the printing press — no doubt — but banning books was more a symbolic act than an effective censorship tactic. In fact, it usually makes us want to read the book even more. Cumaean Sibyl, fresco painted by Michelangelo (1475-1564), Sistine Chapel Ceiling (1508-1512) Rome, Vatican (Image via Wikimedia). Robert Taylor is the latest addition to Jon Turteltaub’s giant-shark thriller Meg, Warner Bros’ upcoming adventure produced in conjunction with China-based banner Gravity. Taylor, the Aussie actor who stars in Netflix’s Western drama Longmire, will star alongside Jason Statham and Li Bingbing in the film. 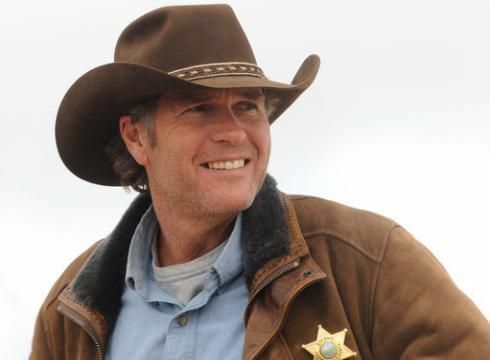 Longmire‘s fifth season starts streaming Friday. Turteltaub directs Meg, an adaptation of Steve Alten’s 1997 novel, with Lorenzo Di Bonaventura, Belle Avery and Colin Wilson producing. The story, written by Dean Georgaris (with a rewrite from James Vanderbilt), follows a Navy deep-sea diver (Statham) whose military career ended in disgrace after his team encountered a living Megalodon, a prehistoric ancestor of the shark believed to reach up to 60 feet in length. With his team destroyed by the beast, he soon is offered a chance at redemption when the monster wreaks havoc off the coast of present-day China. Wei Wayne Jiang, Barrie M. Osborne, Randy Greenberg and Gerald R. Molen exec produce with Flagship Entertainment, China Media Capital division Gravity Pictures and Warner Bros Pictures co-financing. Gravity Pictures will distribute the film in China, while Warner Bros handles the title throughout the rest of the world. Cliff Curtis has been set to star alongside Jason Statham in Warner Bros’ sci-fi action title Meg, directed by Jon Turtletaub. Dean Georgaris adapts the script (with a rewrite from James Vanderbilt) from the 1997 novel by Steve Alten, Meg: A Novel of Deep Terror. The story follows a Navy deep-sea diver whose military career ended in disgrace after his team encountered a living Megalodon, a prehistoric ancestor of the shark believed to reach up to 60 feet in length. With his team destroyed by the beast, he soon is offered a chance at redemption when an international underwater observation program led by Chinese scientists encounters the same beast after a volcanic eruption released it from an underwater trench into open water. Curtis takes the role of the Operations Chief aboard the Mana One, joining Ruby Rose, Rainn Wilson and Chinese actress Li Bingbing in the cast. New Zealand native Curtis stars on AMC’s Fear the Walking Dead and recently produced and starred in New Zealand indie feature The Dark Horse, based on the true story of Kiwi chess player Genesis Potini who suffered from severe bipolar disorder. Curtis has had roles in such films as Live Free or Die Hard, Training Day, Three Kings and The Fountain. Little Big Crimes: A Fun little review of Dennis Palumbo's "A Theory of Murder"
"A Theory of Murder," by Dennis Palumbo, in And All Our Yesterdays, edited by Andrew MacRae, Darkhouse Books, 2015. Mea culpa: It took me so long to get around to reading this book that I forgot how I received it. I should say it was a gift from the publisher. You may know that 1905 was the "Annus Mirabilis" in which Einstein published four papers that turned Physics on its head. In this story we see him pondering on some of these points, providing some of the most amusing moments. "My God, Albert, do you know the time?" "More intimately than most, I promise you." Dennis Palumbo's historical short story is titled, "A Theory of Murder," and originally appeared in The Strand Magazine. Featuring a young Albert Einstein as an amateur sleuth. 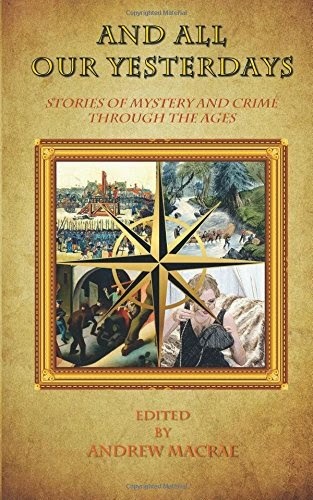 An anthology of historical mysteries from DarkHouse Books. Available as both an e-book and a paperback. The Conditioned from Facebook Stories on Vimeo. Writers In Treatment is bringing its Los Angeles based REEL Recovery Film Festival & Symposium to CINEMA VILLAGE, 22 W. 12th St., NY, NY 10003, from Sept. 23 - Sept. 28. This 7-day film festival and recovery symposium is a celebration of film, the arts, creativity, recovery from substance abuse and alcohol addiction. Showcased are filmmakers who make honest films about addiction, alcoholism, behavioral disorders, treatment and living sober. Slated for screening is an eclectic lineup of contemporary and classic films, documentaries and shorts from first-time filmmakers and industry veterans. The REEL Recovery Film Festival & Symposium also plays in: LOS ANGELES, CA Oct. 20-27, FT. LAUDERDALE, FL NOV. 2-5, DENVER, tba, HOUSTON, tba. Primary sponsors: Best Drug Rehabilitation, Tres Vista, Recovery Centers of America, and Betty Ford Center. Writers In Treatment is an organization whose primary purpose is to save lives through free referrals guiding individuals towards 'treatment' as the best first step solution for addiction, alcoholism and other self-destructive behaviors. They also offer educational, prevention and awareness programs that help reduce the stigma of addictive disorders. Their REEL Recovery Film Festivals provide Entertainment, Education and Inspiration to men and women suffering from addictive disorders, those in recovery or those on the cusp. For more information: Leonard Buschel 818-762-0461. Named Occidental's tenth president in 1965, by the time Gilman retired in 1988 after 23 years of distinguished service he had signed more than half of the diplomas the College awarded during its first century. I kept in touch with Richard Gilman over the years, the President of Occidental when I was there. He was a constant encouragement to continue pushing the envelope—despite complaints from fellow faculty that “I was doing too much.” “You’ll never have a problem with me,” he said. “Keep doing what you’re doing.” He was indeed constantly working the room, introducing himself as “President Gilman.” One Beverly Hills matron responded: “President of what?” I loved that. May he rest in that great Ivory Tower in the sky. I don’t remember ever not being a writer, though I’m sure it was my mother’s fault. She’d sit me down at the kitchen table and insist that I write because she knew I had the storytelling genes of her Cajun family in me. What are your writing influences (writers, books, teachers, etc.)? Aside from Mom, I was inspired and egged on by teachers in elementary, high school, and college—many through their example. My Yale mentor Tom Bergin published around 60 books BEFORE he retired, then another 20 or so after retirement, illustrating my favorite quote from Benjamin Franklin: “I see nothing wrong with retirement as long as it does not interfere with a man’s work.” Novelist John Gardner was my first and toughest editor, who weaned me from academic writing and taught me to write to be helpful or entertaining—or both. My favorite writers include Kurt Vonnegut, Gabriel Garcia-Marquez, Robert Ludlum (when he was alive), Carson McCullers (“I can’t stand the word ‘prose’; it’s too prosaic.”), and some of the writers I’ve managed or published including Martin Ott, Misti Mosteller, Jerry Amernic, Milton Lyles and John Scott Shepherd. I write anywhere (right now I’m writing on a flight between Dublin and Newark), including at my desk every day I’m home, on the airplane, train, bus, car (while someone else is driving)—the more exotic location, the better. I also write any time of the day, though much prefer the early morning before the phone, email, and texts begin. You’ll never experience writer’s block if you follow my simple rule: Never sit down to write without knowing what you’re going to write when you sit down. 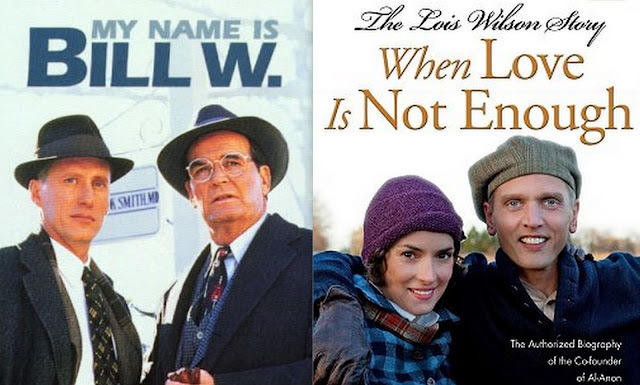 Don’t confuse writing with rewriting. If you try to do both at the same time, you’ll sabotage yourself. Rewriting is what you start doing when you’ve completed your first draft. Good luck to you all. Former professor Ken Atchity is a writer (of novels and nonfiction), producer of films for television and theater, literary manager, and publisher (Story Merchant Books).